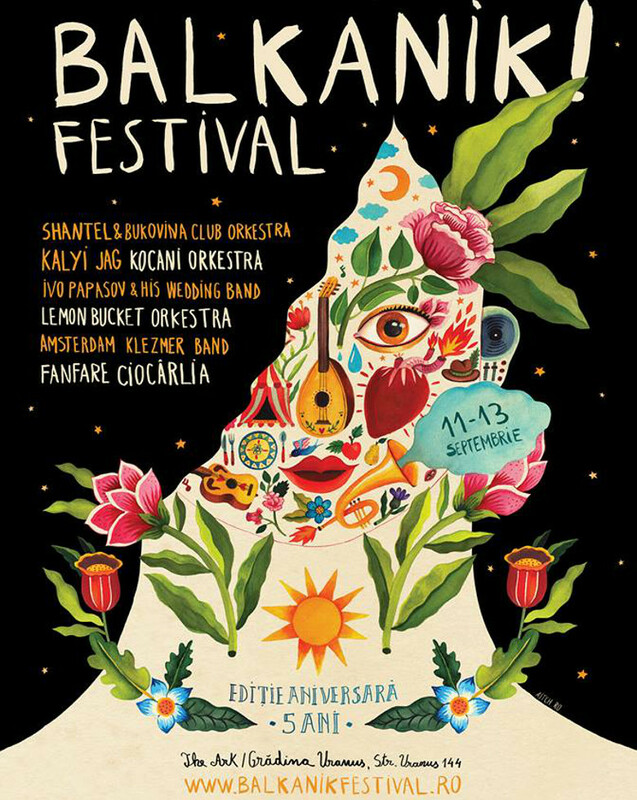 Balkanik Festival takes place for three days, on 11th, 12th and 13th of September, starting 12:00. With a second stage set indoors at The Ark, this year the party will be on-going for 3 days. With over ten thousand people attending last year, around fifteen thousand are expected at the 5th edition. Among the confirmed bands in the line-up are Shantel and Bukovina Club Orkestra (Germany), Fanfare Ciocârlia (Romania), Kocani Orkestra (Macedonia), Ivo Papasov and his Wedding Band (Bulgaria), Amsterdam Klezmer Band (Netherlands) and Lemon Bucket Orkestra (Canada). More artists are to be announced in summer, when the curatorial research carried out by the festival’s team, in order to find fiddlers and virtuoso traditional musicians in the villages of Romania, comes to an end. The handicrafts fair in Balkanik! Festival brings together the best traditional artisans from all the regions of the country and various ethnic groups and young plastic artists who aim at carrying the rare and unique traditions forward, in the context of industrialization and globalization. Painting, photography and sculpture exhibitions play a major role in the mise-en-scene of the festival’s locations, Uranus Garden (outdoor) and The Ark (indoor) and the sitting areas are most bohemian and traditional, set up by designers who place the hammocks, hay couches and other unconventional elements, in order to create a magical, unique atmosphere. The location is easily accessible and travellers can book an accommodation at one of the many local hostels in Bucharest. Balkanik Festival is a Metropolis Cultural Association project.